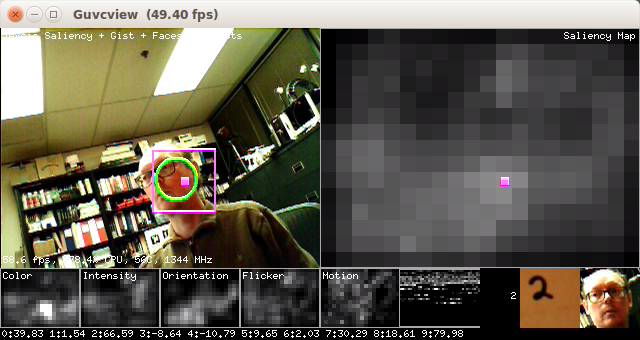 Simple introduction to JeVois and demo that combines saliency, gist, face detection, and object recognition. This module plays an introduction movie, and then launches the equivalent of the DemoSalGistFaceObj module, but with some added text messages that explain what is going on, on the screen. Try it and follow the instructions on screen!